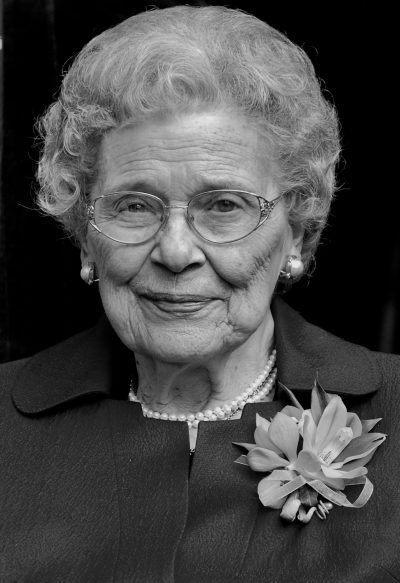 Elizabeth (Betty) Mary Veres (nee Banffy) died peacefully at the Foothills hospital at the age of 97. Betty was born in Timisoara, Romania and immigrated to Canada as a young child with her parents. They settled in Calgary where she grew up and completed her schooling when she graduated from St. Mary’s Girls High School with her senior matriculation. She was predeceased by her husband John who she was married to for 71 years. Betty is survived by her children; John (Betty), Bill (Jill), George (Karen) and David (Anne); nine grandchildren, Heather, Cameron (Lesley), Christopher (Angelika), Lindsay (Darcy), Darren, Kristin (Aaron), Matthew (Debbie), Brianna (Patrick) and Justina; and eight great grandchildren, Juno, Leonard, Kaitlyn, Evan, Jeremy, Colby, Rory and Arthur. Her greatest enjoyment was visiting with and talking to her grandchildren and great grandchildren. Betty’s greatest passions were cooking and travel. After her late husband’s retirement, they travelled the world together and shared their wonderful memories with friends and family. Betty particularly delighted in spending time at their cabin in Gull Lake where friends and family regularly gathered. Betty will be deeply missed by all of those she touched and lovingly remembered for her warm and caring personality. A special thanks to the health care providers at the Foothills hospital, the staff at Bow View Manor Nursing Home, and her many friends and staff at the Manor Village where she resided for 3 years. A private family service will be held at a later date. That was a lovely obituary and regal picture. She lived a full life and raised a wonderful family. Sincerest sympathies on the passing of your mother/grandmother. From your friends, colleagues and clients associated with the ACAC. “Mom” Veres was the best. I have fond memories of her in the kitchen (ALWAYS in the kitchen!) at the cabin, rustling up grub for the many friends and family attending the Vereburn golf tournament. Queen of the kitchen while husband John held court around the firepit. She didn’t just create and serve food – she served up acceptance, support and caring for all the folks around her. Nourishment for the body and the spirit. She was a gem and will be missed. mother, grandmother and great grandmother, our prayers are with you at this difficult time. We have many fond memories of times spent with Betty and John over the years, Friday evening bowling at the Calgary Winter Club, evenings out for dinner and concerts. Betty was extremely proud and always enjoyed her family, she delighted in sharing all of their experiences and we enjoyed sharing the stories with her. To the Veres Family – Sincerest sympathy to all of you as you mourn the passing of my friend and former neighbour – from a long time ago. I last visited with Betty when she lived in the Manor Village, and she was as bright and cheerful as always. I remember her still as a wonderful neighbour next door in the days when we both lived in Rosemont, and a friend whenever I saw her after that. I am sorry she is gone now, but her memory will live on in all who knew her.